Buy (2), use (2) $1/1 MQs. Pay $.15 each! Buy (2), use (2) $1/1 MQs. Pay $1.25 each! Buy (2), use (2) $2/1 MQs. Pay $2.25 each! Buy (2), use (2) MQs. Pay $2 each! Buy (2), use MQ. Pay $1.68 each! Buy (2), use $1/2 MQ. Pay $1.35 each! Buy (2), use eCoupon. Pay $1.55 each! Buy (2), use $.75/2 MQ. Pay $1.02 each! Buy (2), use MQ. Pay $.50 each! Buy (2), use (2) MQs. Pay $.75 each! Get up to $3 Off wyb (2) with $3/2 MQ! Buy (2), use (2) $1/1 MQs. Pay $15 each! Buy (2), use (2) $1/1 MQs. Pay $2 each! Buy (2), use (2) $0.75/1 MQs. Pay $3.25 each! Go HERE for More General Mills Coupons! Go HERE for More Kellogg's Coupons! Buy (2), use $1/2 MQ. Pay $1.85 each! Buy (2), use (2) MQs. Pay $.85 each! Buy (2), use $0.75/2 MQ. Pay $1.88 each! Buy (2), use (2) MQs. Pay $4 each! $2.33 each with $1/1 MQ! $2.78 each with $0.55/1 MQ! $2 each after $1/1 MQ! Buy (2), use $1/2 MQ. Pay $1.48 each! Buy (2), use $.75/2 MQ. Pay $2.12 each! K-Cups: $5.49 each after $1.50/1 MQ! Buy (4), use MQ. Pay $.88 each! Buy (5), Pay $1.99 each after discount! $1.99 each after $2/1 MQ! Final Price: $4.95/5 or $.99 each! $6.99 each after $2/1 MQ! Or, Buy (5), use (5) MQs (if you have them). Pay $.65 each after MQs & $5 discount! $2.99 each after $1.50/1 MQ! Buy (2), use $1/2 MQ. Pay $3.49 each! $2.19 each after $1/1 MQ! Buy (2), use $.75/2 MQ. Pay $2.63 each! Buy (2), use MQ. Pay $3.49 each! $5.99 each after $2/1 MQ! $4.74 each after $.25/1 MQ! $5.99 each after $1/1 MQ if included! $6.99 each after $3/1 MQ! Yoplait: Buy (5), use $1/5 MQ. Pay $.80 each! Save more with Upromise or SavingStar! Liberte: $.70 each after MQ! If Salad Additions are included, Pay $1.50 each after $1/1 MQ! Find more Tyson coupons HERE. If included, buy (1), use $.50/1 MQ. Pay $1.50 each! $4.99 each after $2/1 MQ! $2.38 each after $0.50/1 MQ! Buy (2), use $1/2 MQ. Pay $5.99 each! $2 each after $.50/1 MQ! $2.49 each after $2/1 MQ! $4.49 each after $1/1 MQ! $7.24 each after $.75/1 MQ! Buy (2), use $1/2 MQ. Pay $1 each! Buy (6), use MQ. Pay $.43 each! Save more with Upromise or SavingStar! $.99 each after $1/1 MQ! $8.99 each after $2/1 MQ! That’s a savings of $7.50! 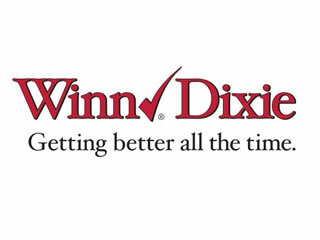 Not all Winn Dixie stores accept coupons on the free items in the deal. Acceptance is subject to manager approval. Coupon usage rules may vary by store or region. That’s a savings of $8.47! Thanks to TrueCouponing.com for this list!